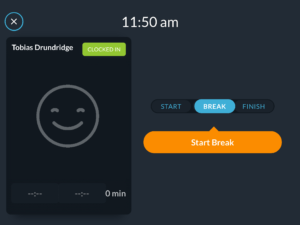 Today we’re excited to announce the upcoming release of a newly redesigned Tanda Employee Time Clock. Addressing the problem of recording accurate employee Time and Attendance is core to ensuring we service you, our customers. This is why, on the 29th of January 2019, an update to both iOS and Android will be released on the respective app stores. Any update from the app stores from the 29th of January onwards will download this new Time Clock. To get this new Time Clock now – download the Beta on both Android and iOS. New colours, new design and some obvious layout changes have been perfected and refined for this new Time Clock. A zappy keypad now sits on a deep navy background that ripples blue waves to the rounded edge of each button. Successful entry opens a vibrant and compact user interface that pops with judicious colours. A thin-blue timer encapsulates the ‘close’ button and indicates when the Time Clock screen times out – gleefully sliding all contents away. Employee’s information is smartly displayed within the shift card and clocked times are swiftly populated upon each action. This is the Time Clock of the future. Get Beta versions now. Dock your tablet in whatever orientation suits. The new Time Clock will dock and send photos in portrait, landscape and even upside-down (charging ports are sometimes in funky spots). All features will work as expected. what button should I press? was I on a break or already clocked in? how long was the break I just took? and providing instant clarity during a shift. Making sure the correct staff are at work at the correct time is important for your business. Equally important is making sure the correct staff are clocking in. 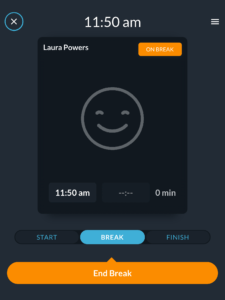 As an introduction for much cooler things to come, both iOS and Android support facial detection on the Time Clock. We want our customers to successfully manage their business, not their Tanda accounts. That’s why we’ve made reporting device information about your Time Clock as simple and as fast as possible to Tanda Support and technical staff to help us assist you debug any issues. 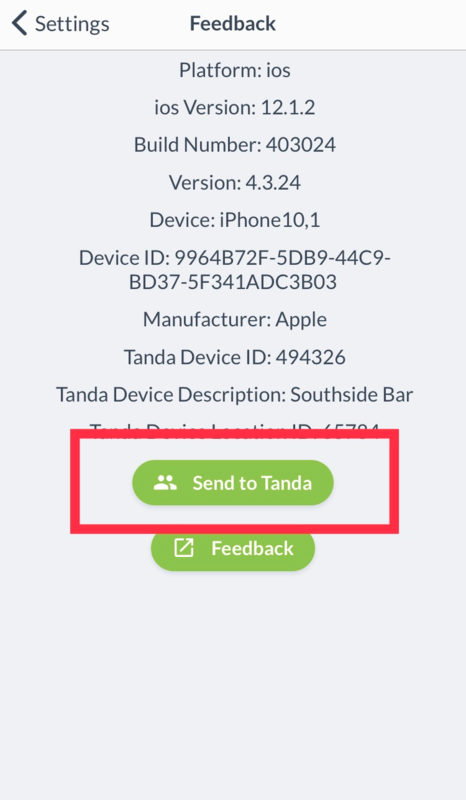 Read more about how to Send Device Info to Tanda. If you have any questions, please contact support@tanda.co. Brod is part of the Product Team of Tanda, and is currently focusing on the new Tanda Time Clock. With the support a stellar team, they're quickly addressing Time and Attendance problems in all markets.